Distance to the hotel: approx. 100m, access via Marktstraße or Stadtstraße. Distance to the hotel: about 300m, access via city road. Wi-Fi is available throughout the house, at no extra cost. Your room will be ready for you from 03:00 pm on the day of arrival. You will receive the door opening code and your room number by email or telephone the day before your arrival. In the hallway, to the right of the front door, you will find your key card for the door of the house and the room in the post box labeled with your room number. Alternatively, when you book the JustIn Mobile app (Android / iPhone), you will receive your room number and the electronic door opener directly on your mobile phone. You can therefore arrive around the clock. During the opening hours of our BAR10 we will gladly welcome you personally. You can also contact us at welcome@bar10zimmer.at or call 0043 5572 890999. We request that you vacate your room by 11:00 am on the day of departure. Please leave your key card on departure in your room or at the exit of the hotel. A pharmacy is located across the street about 50m into the city. 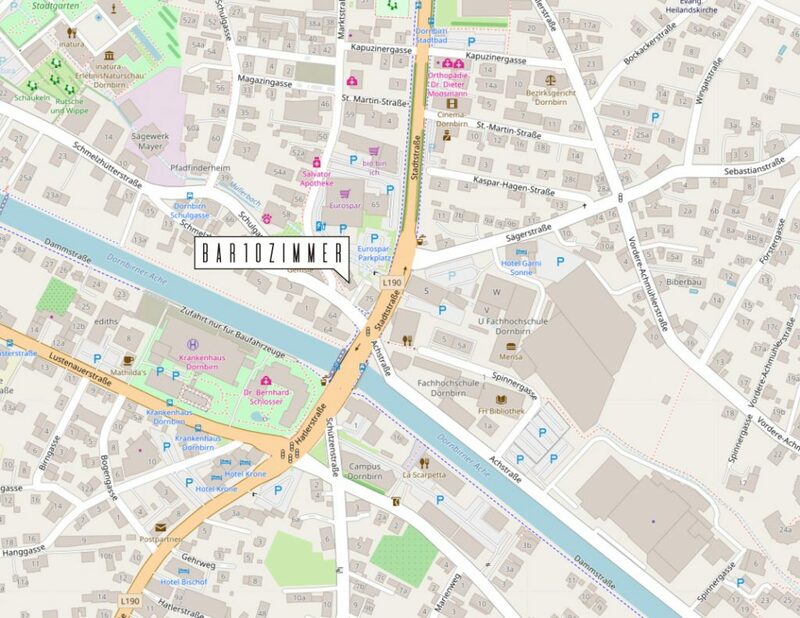 Also, the hospital of the city of Dornbirn is in the immediate vicinity. Our tap water comes directly from the nearby mountain springs, and you can enjoy it without hesitation. Each room has a small safe in the wardrobe. Our care products are from the internationally renowned HERBAL TREATS BY SUSANNE KAUFMANN ™ natural cosmetics line produced in the nearby Bregenzerwald. You can find suggestions for activities in Dornbirn on the city’s website. More running routes and suggestions are still available on OutdoorActive. You can book a hairdressing appointment in the connected Concept Hair Shop CHRISTOPH TOMANN. There you will also find the full range of SUSANNE KAUFMANN ™ and Less is More® along with other interesting products.